Disclaimer: Los Tweens and Teens has a partnership with Ford Motor Company however all opinions expressed are our own. And I break out laughing hysterically. Why was it so funny? We were test driving the Ford Fiesta for the weekend and having quite a fun time doing so. Oh and, Focus is also another Ford vehicle. The Ford Fiesta has a lot of power for a small car, surprisingly a lot of space and it gets amazing gas mileage. We took the Fiesta for a couples getaway to Mount Dora, Florida. With only one suitcase for the weekend, we quickly realized we could of packed a lot more. The Fiesta has a lot of trunk space for a small vehicle and plenty of space in the back seat – perfect of a student headed off to college. Gas Mileage: The Ford Fiesta gets an estimated 31 mpg in the city and 43 mpg on the highway. Keeping the gas bill down is important, especially for students! Affordable Sticker Price: Starting at 13,865 for a base model, the Fiesta isn’t going to make you have to choose between buying your child a car or sending them off to college. Spacious Enough: Of course the Fiesta is no mini-van but it’s not supposed to be. While the Fiesta has seating for five, it really can comfortably fit 4 adults. This is fine with me since the less children my teenage would be able to fit in the car, the better. It has a spacious trunk and when you include the back seat, there is plenty of room to accommodate travels to and from college. 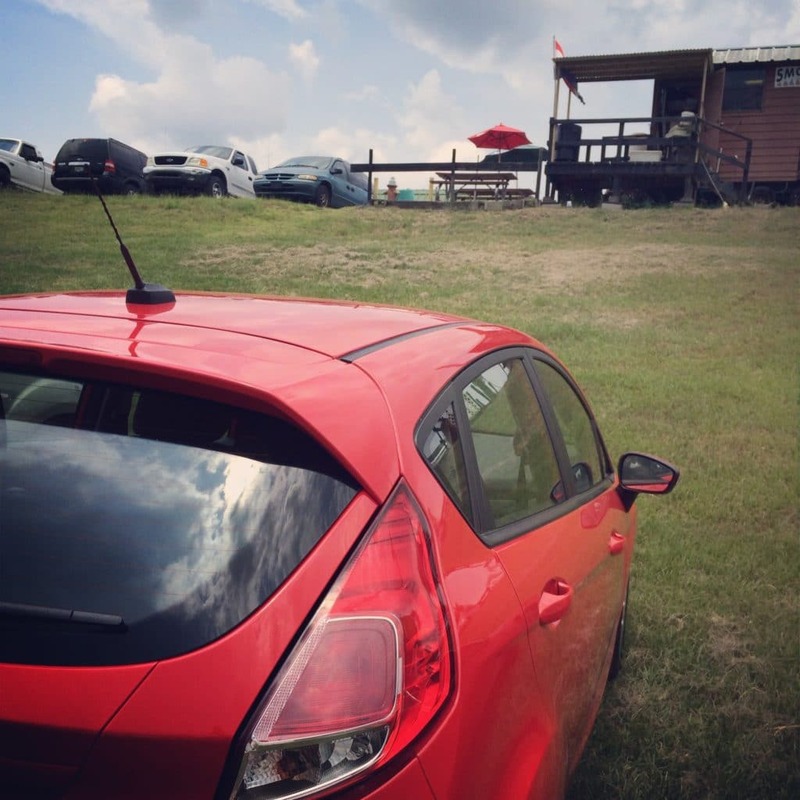 Strong Engine: We were impressed with the Ford Fiesta’s ability to “get up and go.” The SE with manual transmission has the award-winning Ford three-cylinder EcoBoost engine. You can read all of the specs here but in short, the car has a lot of power which is something teens need in a small vehicle especially if they are on the highway. After driving the manual Ford Fiesta for the weekend, my husband declared that we would not be purchasing an automatic vehicle for our daughter. He reasoned that a manual car requires the driver to be in control, constantly attentive to their surroundings and prevents the driver from having time to text, tweet, take selfies or be distracted. 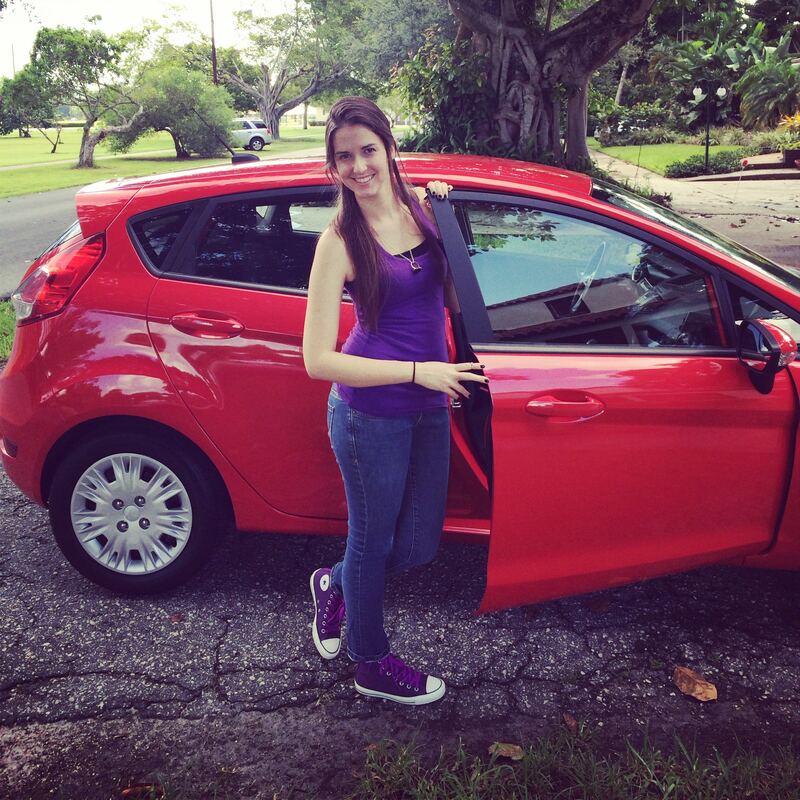 Check out the Ford Fiesta if you are considering buying your teenager a car this year! We were impressed and we think you will be as well. Me and the Sporty Red Ford Fiesta getting ready to head out! 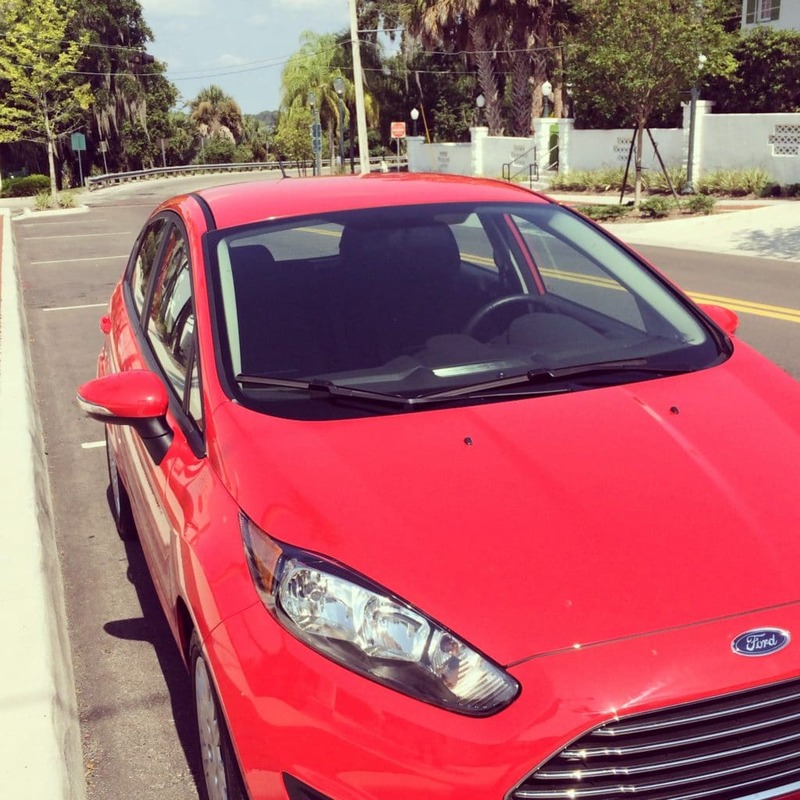 The Ford Fiesta in Mount Dora, Florida. 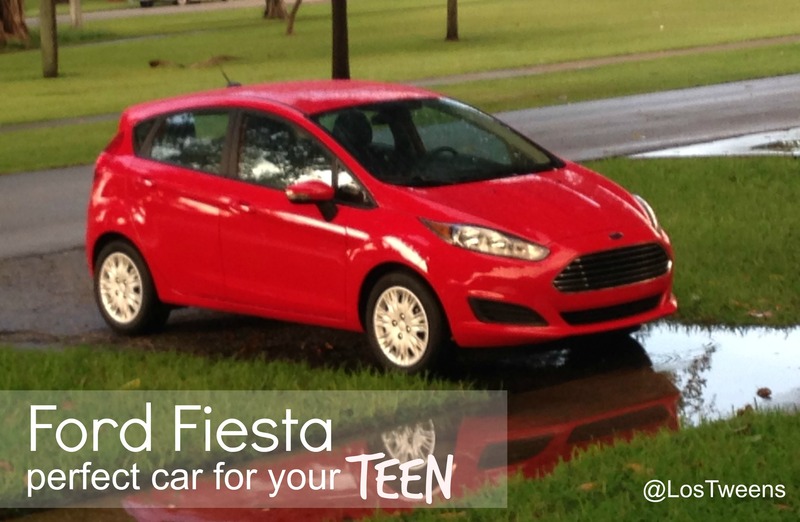 This entry was posted in For Teens, Ideas, Parenting Teens, Product Reviews, Teen Driving and tagged Ford, Ford Fiesta, parenting advice, Parenting Teens, Parenting Tips, teens. Bookmark the permalink.